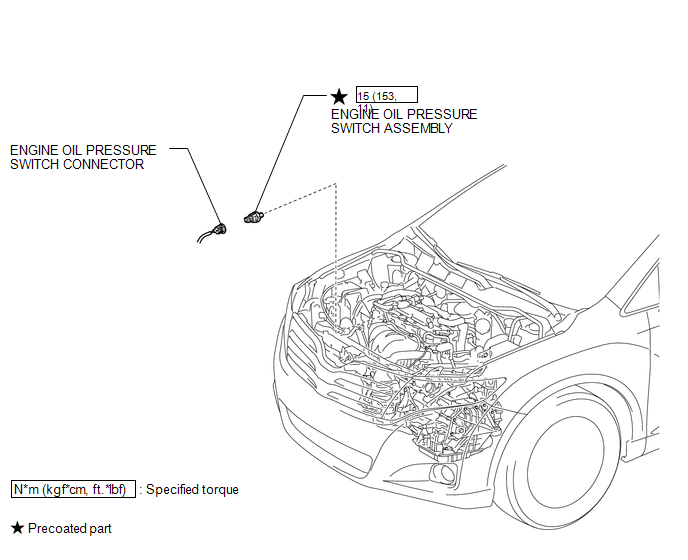 If the result is not as specified, replace the oil pressure switch assembly. 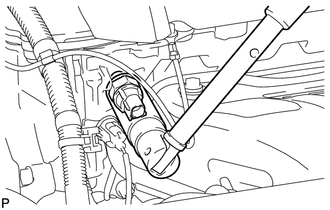 (b) Using a 24 mm deep socket wrench, remove the oil pressure switch. 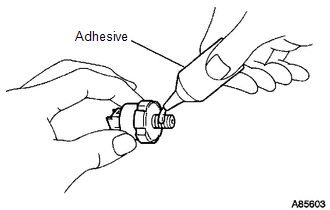 (a) Apply adhesive to 2 or 3 threads of the oil pressure switch. TOYOTA Genuine Adhesive 1344, Three Bond 1344 or equivalent. Do not let adhesive adhere to the oil hole. (b) Using a 24 mm deep socket wrench, install the oil pressure switch. 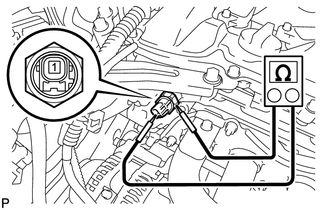 (c) Connect the oil pressure switch connector.